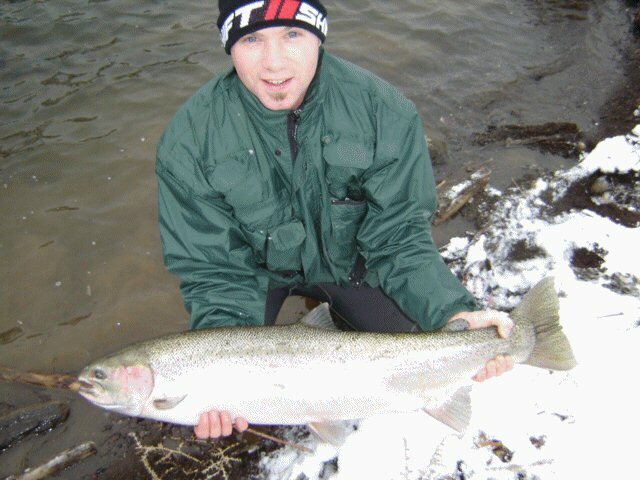 Cherry Salmon, or scientifically know as Oncorhynchus masu, has many names. They are commonly referred to as sima or sema, Japanese salmon, Masu salmon, or seema salmon. They reside in the western Pacific in areas such as Kamchatka, Sakhalin, Korea, Japan, Primorsky Krai and the Kuril Islands. 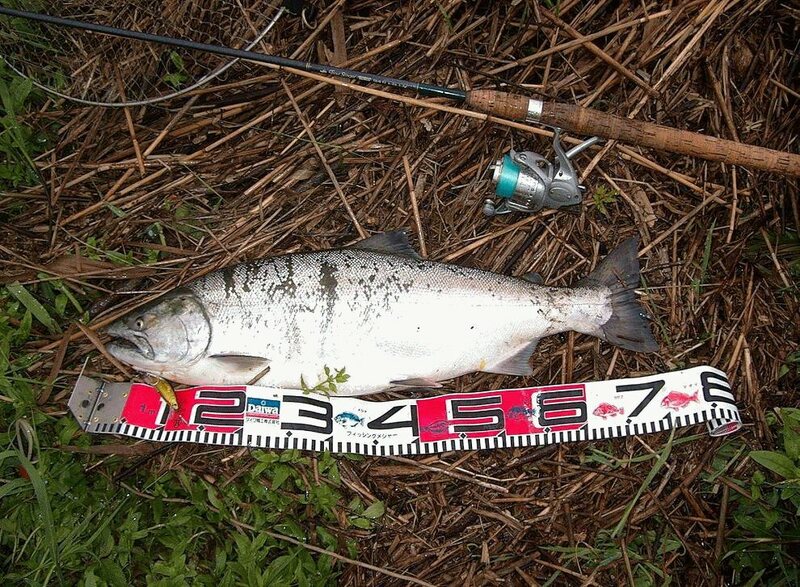 Much like Pacific Kokanee which is a landlocked Coho, Seema salmon also have a landlocked subspecies called Taiwanese salmon or Formosan salmon (Oncorhynchus masou formosanum) which exists in Taiwan. These salmon are a species that reside only on the Asian side of the world’s largest ocean. The species of salmon that is most comfortable in warm water, they live in temperate, shallow waters and are smaller than most of their Pacific cousins. There is a landlocked population of cherry salmon which live in Taiwan. Cherry salmon are also known by their Asian names; seema, sima, masu, or Japanese salmon. 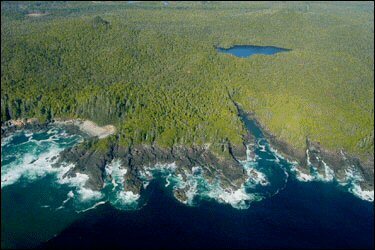 Like other species of Pacific salmon, they live their lives in both fresh and salt water. The young are hatched and spend two years on average growing in river and stream beds, although they may wait as long as three years until migrating to the ocean. Once in the ocean, these fish will feed on crustaceans and sometimes smaller fish for several years until reaching maturity. Once they reach maturity they head back to their waters of origin. After spawning, most seema will die, but a few males may survive to breed again the following year. 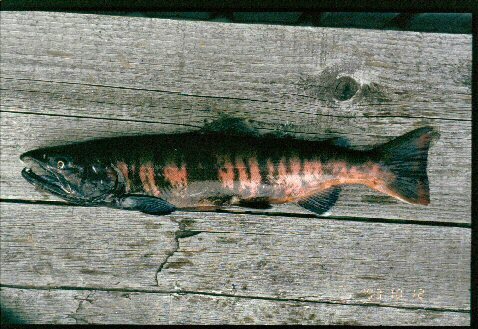 While spawning, these salmon acquire a bright red stripe on their sides from which their cherry name derives. 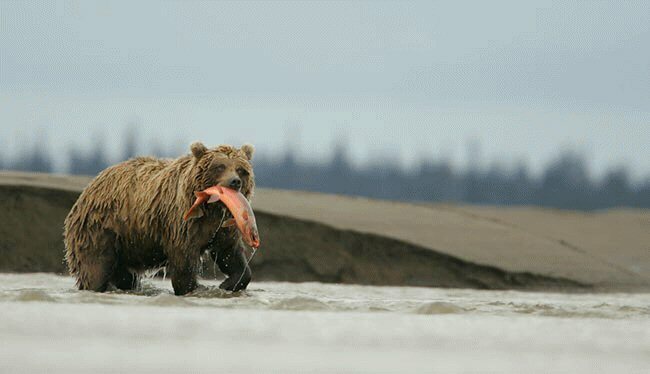 The size of the cherry salmon when it reaches maturity depends on the area in which it lives.  Typically, they will weigh from 2 to 2.5 kilograms, but some subspecies may grow as large as nine kilograms. Like other species of Pacific salmon, seema are prized as sports fish throughout the areas they occur. Seema can be found living year round throughout their lives in some rivers and streams in Korea, Japan, and Russia. These individuals are considered brook trout, and are prized by anglers who use flies. The truly land locked version of the Japanese salmon is known as the Formosan land locked salmon. It is one of the most endangered fish in the world, with only 400 individuals surviving in the wild at last count. They require cold waters to live, and first the threat of over fishing and now the challenge of pollution have been the main contributors to their decline in numbers. When they were first identified as a separate species, some anglers tried to introduce the cherry salmon to lakes in the United States. The first attempt was in Michigan in 1929 in the Boyne River, and the second attempt occurred in at Hewitt Lake and Puget Sound in Washington in 1974. Neither attempt was successful, as these fish were not compatible with temperatures lower than their native Asian sea climates. In addition, further attempts have been discouraged due to the discovery of parasites which cling to the cherry salmon and which could have negative effects upon the ecosystems of North America. 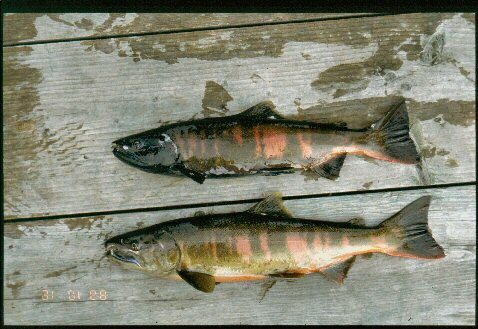 Below are ID pictures of Cherry Salmon in the spawning stage. They have similar markings to that of Chum, given their "tiger" like stripes. 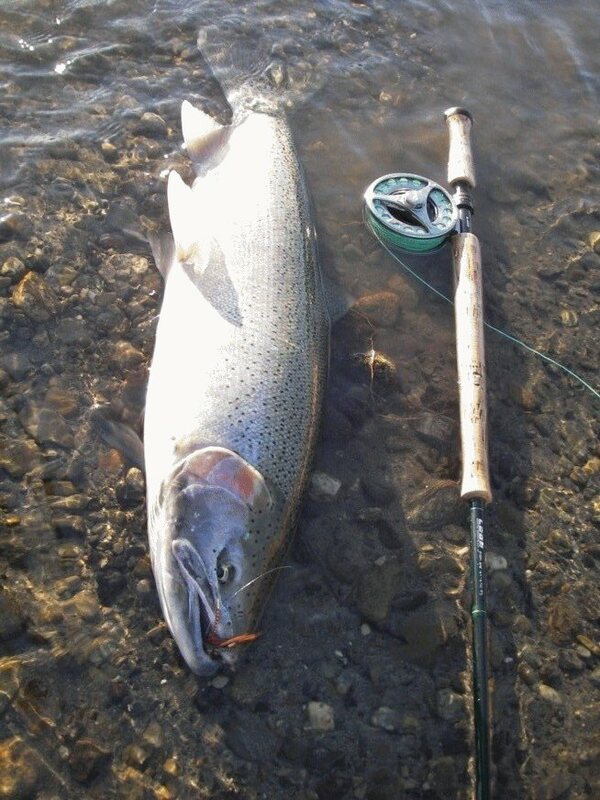 If you would like to learn more about each species such as Steelhead Salmon, click on the hypertext or go to the top of the page to find out more about the species you're interested in.